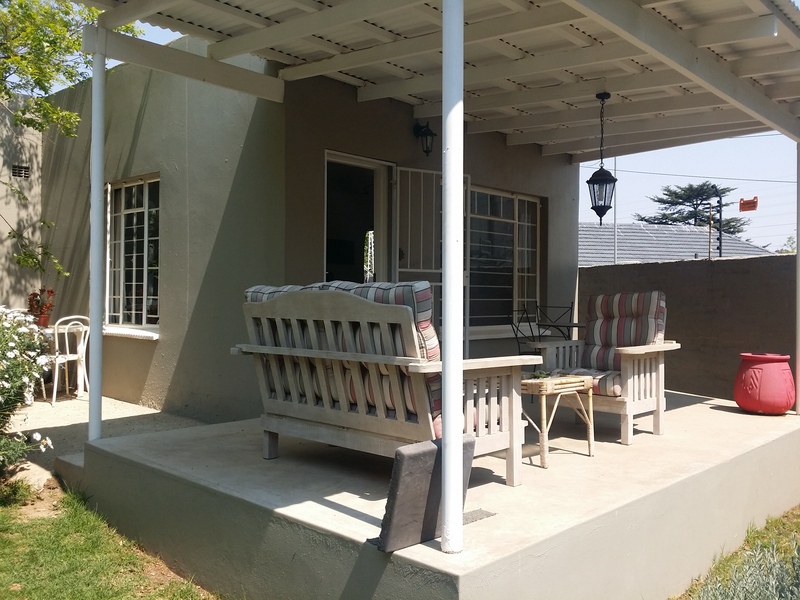 One bedroom apartment in Craighall Park. The unit has a lounge/dining area leading onto a covered patio. There is a separate kitchen. The bedroom and bathroom are en suite. There is a small private garden and a storeroom. The unit has one garage space and one tandem visitors parking bay.